Vijay Deverakonda, Rashmika Mandanna starrer Geetha Govindam collections are unstoppable. The film is continuing its dream run at the box-office by crossing $1.5M mark in overseas. The film is breaking Bollywood movies collections. It has crossed two Bollywood films Gold and Satyameva Jayathe released this weekend. Trade analyst Taran Adarsh tweeted, "Guess which Indian film has proven a tough opponent to #Gold and #SatyamevaJayate in Australia? 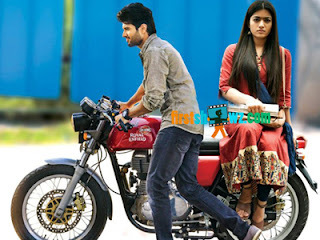 Telugu film #GeethaGovindam, starring Vijay Deverakonda... The *combined* weekend biz of the two Hindi films [A$ 192,306] is less than that of #GeethaGovindam [A$ 202,266]. @comScore"
For the first weekend, Geetha Govindam raked in Rs 54 crore worldwide gross, with a share of over Rs 31Cr across Telugu states. Directed by Parasuram on GA2 Pictures, Geetha Govindam is turning out to be one of the biggest blockbusters of the year.